Babbel is the #1 selling language learning app in the world with more than one million active subscribers globally. They are innovators in the education space and focus on giving consumers real-life conversation skills quickly and efficiently. Babbel partners with Outbrain across several countries and languages. In the U.S., campaigns center on owned media campaigns educating the market on Babbel and their offerings, including how the app works, product statistics, and user reviews. Babbel stays top of mind with ’always on’ campaigns with greater spend during key periods such as New Year’s and summer vacation season when consumers are most receptive to learning new languages. 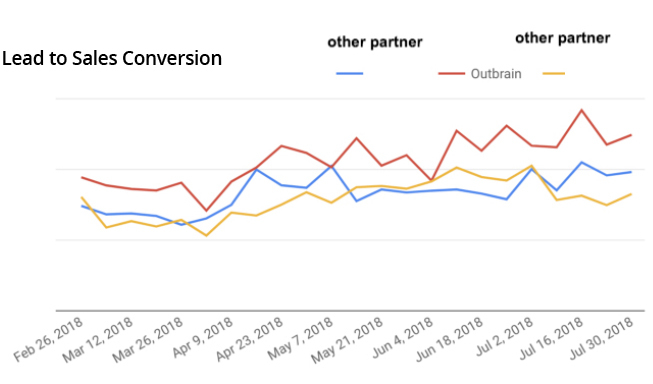 Babbel utilizes a variety of Outbrain‘s advanced targeting tactics to support their full-funnel KPIs, building attention to their brand that further leads to conversion and lifetime value. Retargeting allows for tailored communications to those who previously visited the site / interacted with content. Interest Targeting pinpoints consumers based on the relevant topics they’re most interested in (travel, education, arts). Lookalike Audiences model the content consumption profiles of existing subscribers to target new audiences that resemble them at scale. Outbrain is a core member of Babbel’s top 3 strategic channels and their #1 partner in driving leads to sales. Outbrain’s targeting playbook combined with Babbel’s quality content led to actionable leads at efficient CPAs, harnessing the power of true interest targeting and an engaged audience. Lookalike Audiences drove a 20% lower CPA and Retargeting campaigns drove a 4.6% lower CPA than initial goals.